Amazon.com description: Product Description: What does the liver do? What happens to all the food we eat? Why does the small intestine need to be so long? 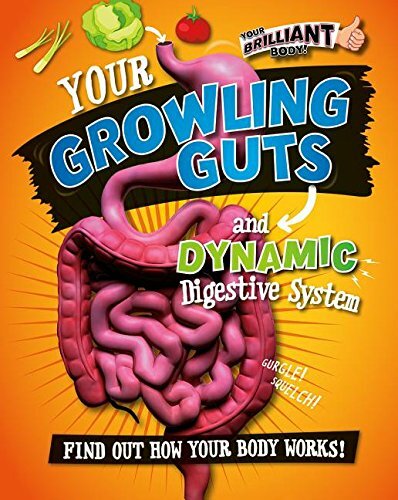 Your Growling Guts and Dynamic Digestive System takes readers on an entertaining tour of the body's different digestive organs and the process of digestion. Every spread opens with an amazing science fact about the human body, then goes on to explain the science behind the fact. Detailed diagrams and amazing images illustrate the lively text.